This is the second part of our ‘Holiday Tips’ series, covering ways of earning miles and points from every aspect of your holiday planning. The article yesterday covered earning Avios and other miles from car rentals. Even if you do decide to pay for the majority of your holiday costs by credit card, you will still need some foreign currency to tide you over. In general, I avoid getting foreign currency from a Bureau de Change and simply use a cash machine at my destination. The overall cost is unlikely to be worse than using a bureau and it is far easier. That said, you are taking a gamble when you do this, especially if you need money for a taxi. I remember spending ages in Berlin Tegel a couple of years ago trying to find a cash machine – it was especially galling as the taxi rank was directly outside passport control. For many years, the Halifax Clarity credit card was your best choice if you wanted to avoid FX fees on cash withdrawals from ATMs abroad (most other ‘no FX fees’ cards still charge 2.99% on ATM transactions) – although you will pay interest from the date of withdrawal. Representative APR 18.9% variable. A couple of new options have appeared in the last 18 months. The Barclays Platinum Travel credit card is free and, like Clarity, it also offers 0% FX fees on purchases and cash withdrawals abroad. Representative APR 18.9% variable. Impressively, you do not pay any interest on cash withdrawals either if they are repaid with your usual statement balance. 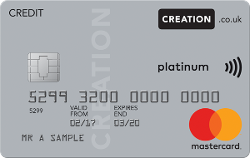 The latest option is the new Creation Everyday Mastercard. This card is free, has no foreign exchange fees on purchases and it has no cash withdrawal fees abroad although you do pay interest from the date of the cash withdrawal. The representative APR is 12.9% variable on purchases and cash withdrawals. Details are on the Creation website here. A final option with no FX fees on foreign – or UK – cash withdrawals is the Santander Zero Mastercard. The representative APR is 18.9% variable on both purchases and cash withdrawals. You can find out more here. You can earn Avios points when you pre-order foreign currency via the Travelex website for collection at the airport or delivered. The webpage you need is here. This drops you straight into the currency calculator. Don’t go via the Travelex homepage as there is no option there to add your Avios account details. It is good to see that pre-ordering is available. The walk-up exchange rates at Heathrow are, frankly, shocking and you should never exchange money without ordering in advance. You will receive a substantially better rate this way. The special Avios / Travelex ordering page is here. If you order your currency from Travelex for collection at Heathrow, you should see if you can also earn Heathrow Rewards points on foreign currency transactions. You will receive 1 point for every £10 you exchange and they convert 1:1 into Avios. It isn’t clear if you should earn points on pre-ordered currency but they will accept your number much of the time. If you don’t have a card which allows 0% FX cash withdrawals, try Curve. Curve is a Mastercard-branded product which recharges your spending or ATM withdrawals to any linked Visa or Mastercard product. One benefit of Curve is that it only charges 1% on overseas transactions compared with 3% on most credit and debit cards. You can therefore earn points on your underlying payment card, say the Virgin Rewards+ Mastercard, as usual but you are saving 66% on the FX fee. Curve can also be used for making ATM withdrawals in the UK and abroad, and the first £200 withdrawn per month attracts no handling fee. All cash withdrawals are treated as a PURCHASE on the underlying credit card so £200 withdrawn from an ATM in Germany and recharged to a, say, a Lloyds Avios Reward Mastercard (no longer available to new applicants) would earn you Avios. Curve charges a 1% FX on cash withdrawals and, once you are beyond your £200 monthly free withdrawal limit, a £2 handling fee per ATM transaction. Curve will pay you £5 for trying the card, which is free. Full details are in this article. If you would prefer to earn Virgin Flying Club miles with your foreign currency purchases, there is an option for that too. 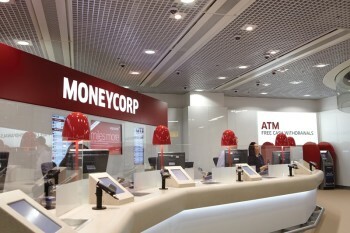 Moneycorp, which has a strong presence at Gatwick, gives Virgin Flying Club miles on pre-ordered currency. This is a good option as you benefit from the convenience of collecting at the airport plus the substantially better rates available for pre-ordering plus 1 Virgin Flying Club mile per £1 exchanged. Details can be found on the Flying Club website here. You can also pre-order currency and earn Virgin Flying Club miles for collection at Moneycorp desks at Stansted, Southend, Bristol and Southampton or from their counters in Central London. You don’t need to be flying from Gatwick. If you have the new Virgin Atlantic Reward or Reward+ credit cards, you could also link the Visa card to a Curve Card and earn miles on ATM withdrawals abroad. Unless you are spending your employers money, you should always focus on price and / or convenience, whichever is more important to you, when buying foreign currency. Treat the miles as an extra bonus but don’t be solely driven by them. As I said above, we tend to use very modest amounts of cash when travelling. It is a long time since I used an FX counter (except when changing money back afterwards) and I am happy to rely on ATMs at my arrival airport via my Curve card. Convenience wins out. 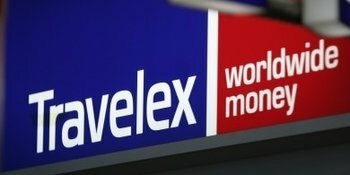 If you do prefer to pre-buy, however, the good news is that Avios are available via Travelex. Are we able to use amex to buy forex on line then? That was a great plus. Nice catching up with some fellow avios hunters last night. Very nice event. Well done Anika and team. Seconded on the Nationwide Flexplus. It is an account you pay for but it has a lot of benefits I use – free worldwide travel insurance, free breakdown insurance, free mobile phone insurance. The actual cover is pretty good unlike a lot of the insurance that comes with packaged accounts. It’s not worthwhile if you don’t want the insurances but it was worth it for me. You should have said in the article that the Barclays option is only available if you have no other cards with them. Pretty big omission. “We’re sorry, if you already have another credit card provided by us (which may be one of our partner cards), we’re unable to accept applications for a further card. Here in the city in London we have quite a number of FX BDC places – you have to use their “fast track” order online facility – takes 2 secs and can be done on a mobile – but you get very close to spot. I generally get about $50 – $100, basically pocket money from these places and use the Credit card for anything else (purchases/cash withdrawals). PS At Gatwick for Moneycorp – can also often get the online pre-order rate for walk up purchases via their MyGatwick offers – useful if wanting smaller quantities. PS I had an ATM in Portugal offer the conversion when using Curve. managed to work out which option to press to get charged in € before too late, and much cheaper! In US (Vegas) found it hard to find an ATM that didn’t charge local fees – which none of the cards can avoid – but not worth trekking too far to avoid..
All ATMs in Vegas charge some kind of fee, I had a $10 cash withdrawal fee and a $10 FX fee as I was required to pay cash rather than by card which shocked me! Outside of Vegas, it’s easier but there are still fees depending on bank you use and their relationship with your UK bank. US ATMs really are terrible, aren’t they? Some don’t even announce their fees until they are listed on the receipt. Off Topic but I am sitting on a £400 / £800 worth of Costa Rican Colones / Brazilian Reals and now am not expecting to go back soon. I live near LGW. Anyone have an ideas about the best place to transfer back. Do you know anyone likely to go to CR or Brazil in the next 6/12 months? When I have currency left over for a place I am not going back to for a while I usually sell it to a friend/relative…although I usually only end up with less than £50 worth of anything, not hundreds. not sure but you might want to take a look at travelmoneymax dot com. kanoo took over the 6 Amex shops in London that used to do travel and Amex and might post rates online? lastly I believe Harrods Bank had some kind of deal to change money at close to bank rates for account holders…. not very sure and a long time ago but you could look online if you’re anywhere near. O/T.. Just to say I got the 900k avios now and don’t know what to do with it, split across three accounts. Fancy a trip to the Maldives, but seems a big blow out to spend it all on accommodation there. Wife is into the high end stuff so finding ways to please her with material things. Not sure she would like Iberia so much, we travel with bling bling emirates mostly. Going to look into 241 BA card offer to maybe get there. I’ve pre-ordered currency using the Avios webpage for collection at both MAN & LHR previously and for some reason when you order via the Avios page it does not give you the option to add buyback. You can add this via the regular non Avios earning Travelex homepage. They also couldn’t add the option at the counter and the staff themselves couldn’t understand why. I have my CC Tesco there, £ 200 a month I can take from ATM without commission and still earn Tesco points which I will exchange for avios. OT: Has anyone else received a survey via email about ‘potential’ new Hilton Honours Card? If I’ve read this correctly, Curve only charges a 1% FX fee if they do the currency conversion. Since you can easily change the currency of the underlying card (click the little ‘i’ next to the card) then you should be able to let the underlying card do the currency conversion. If that happens to be a Halifax Clarity, happy days! Correct – I charge to my Lloyds Avios Mastercard and just change currency to whatever is required – 0% forex fee and some bonus Avios 😀 As a tip, I edit card name to [CURRENCY] after it so I can easily see what I’ve set it to! OT: I am booking my first reward flight ever (be gentle) using my 90k avios + lloyds upgrade voucher. I was hoping to travel to San Diego in Business class in early september using the voucher but I can see I’ve left it a bit late and while there is outbound availability there is none inbound. So my question is – do Avios seats in business class on long haul flights like these get released constantly? Can I expect a couple more to come up on some date in early September over the next few weeks? Or are all reward seats in BA released at a go with no further releases? Hope that makes sense – and thanks! On BA it can sometimes be 4 Economy + 2 Business (the published minimum) reward seats per flight and that’s it. But First also gets released on some flights with First section (not all). And it’s not uncommon to see (say) 9 Economy reward seats released all at once. There was some recent-ish info showing that where a flight has not sold so well, BA release loads of reward seats in the last week/ couple of weeks – have a look at your route and see if it holds good for flights departing next 10 days. I know I was surprised to see how many reward possibilities there were on ‘my’ route when I checked this – no good in peak school hols, but at other times when the plane isn’t full, that seems to be common ie plenty of reward seats get released close to T-day. And don’t forget you can get reward flights on any Oneworld partners, wouldn’t AA fly to San Diego, for example? I’ve had that issue in the past. The restrictions on the Lloyds voucher (has to be BA, has to be a return/two people travelling one way) make it really tricky. I flying to Korea, instead of Japan this summer for that very reason. I wouldn’t bet on additional availability. Realistically, finding somewhere near SFO you’d like to visit is the only option. Vegas, LA? I wanted to upgrade N Orleans-LHR from WT+ to Club with Avios – rang BA and was told there were no seats at the moment, but could well be much nearer the time. There’s no reason to be worried about 2.99% fee IF you can use Amex Gold instead & are going for the annual spend requirement £15K to get 10,000 MR points. The article is about not wasting 2.99% – and can you do better with other FX providers. Just use your Amex Gold to avoid unnecessary hassle? 1. You get back 2 MR points per £ spent abroad, so that immediately cancels out 2% of the fee (@ 2MR points = 2p). 2. You are spending to hit your £15K spend requirement to get back 10,000 MR points on the card anniversary. So that’s an extra 0.67p back per £ spent abroad. You’ve cancelled out another 0.67% of the fee. Haven’t checked this for the Gold Reward card, but most rewards cards usually don’t give points for cash withdrawals. I’d be surprised if they were to count towards the spend requirement as well. Other than that, your principle of triggering the bonus points stands. …and using Gold Amex abroad for non-ATM withdrawals, ie restaurants etc, if ATMs get no points, that is. Total 2.67 MR points per £ spent abroad. There ARE people who love a wallet thick with cash. There ARE economies where cash is king. But I suggest you can survive without too much ATM cash.